We are coming to Crete in September for 12 nights and are staying in Stalis. On reading more about Crete, I would like to visit the Balos Lagoon and Elafonisi Beach, as I love beaches. On doing my own research, I realise that both these beaches are quite a distance from Stalis. I have found a lovely hotel Kreta Natura in Kissamos and was thinking of hiring a car for 3 days and travelling down. I don't like mountain roads with steep drops. How easy is it to drive from Stalis to Kissamos? And then how easy is it to visit Balos Lagoon and Elafonisi Beach from Kissamos. Or any other suggestions of how to travel and where to stay would be appreciated. Also are there any beaches as a must see that are close to Stalis we can travel to by bus? Hi, we are glad you enjoy the site, yes it is a fair distance from Stalis to both these beaches. Balos Lagoon and Gramvousa Islet are in the north-west tip of Crete, 225 km from Stalis. Elafonisi Beach is in the south-west tip of Crete, 245 km from Stalis. To visit Balos Lagoon and Gramvousa Islet the information is here. You can hire a car from Kissamos and drive to the tip of the Cape Ligari peninsular (16 km) then walk (1 km) to the lagoon, or you can take a boat trip from Kissamos. To visit Elafonisi Beach the information is here. Elafonisi is 42 km from Kissamos. The road goes through the beautiful Topolia Gorge with steep sides, so you will not want to drive there. It is easy to take a day tour or the local bus from Kissamos. Near Stalis you could visit Sisi and Boufos, Avlaki and Spiliada Beaches. if you want to go to Balos Lagoon by car, you should know that the road is paved with gravels. Because of the road it's better to drive to Cape Ligari peninsula by a car than by a quad. I would also suggest to visit lake Kourna and Falassarna beach. Is there any body to help me with info? I am planing to go to Crete, especially for Elafonisi Beach. But I don't know which is the closer town or village to rent a room or hotel. I do not want to travel many km and lose time. You can also stay in Paleochora and take a boat to Elafonisi Beach - these boat trips leave daily. Thank you for your quick answer. Can you tell me please how big is the distance between Paleohora-Elafonisi beach and Kissiamos-Elafonisi beach? Thanks one more time :-) ! Sure - the distance from Kissamos to Elafonisi is 40 km. The distance from Paleochora to Elafonisi is about 33 km by land but you would not travel by land, you would travel by sea by boat which takes about one hour. Please see the map on our Crete beaches page which shows all three locations. There are smaller villages closer to Elafonisi Beach and they have very few options for accommodation. There are villas dotted all about, but your best idea for a small budget rent room or pension is most likely Paleochora or Kissamos. Join in and write your own page! It's easy to do. How? 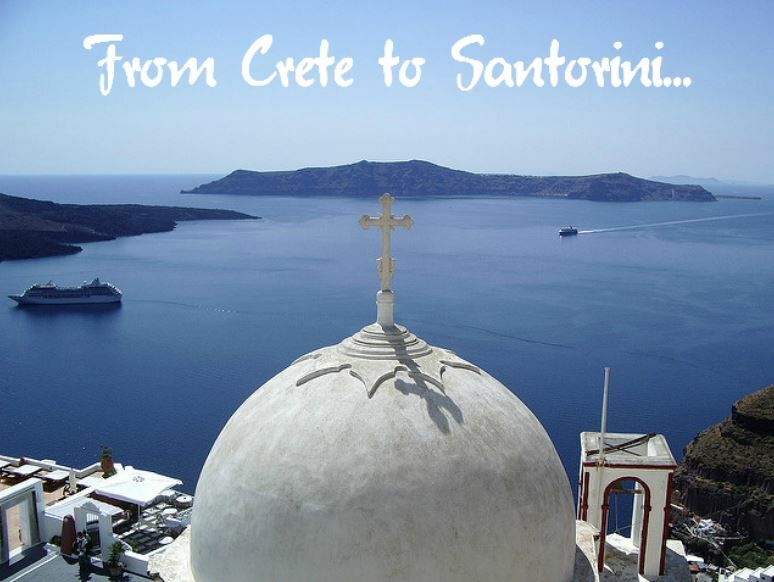 Simply click here to return to Chania Travel.